Summertime is my time for getting away and reflecting on all matter of topics. 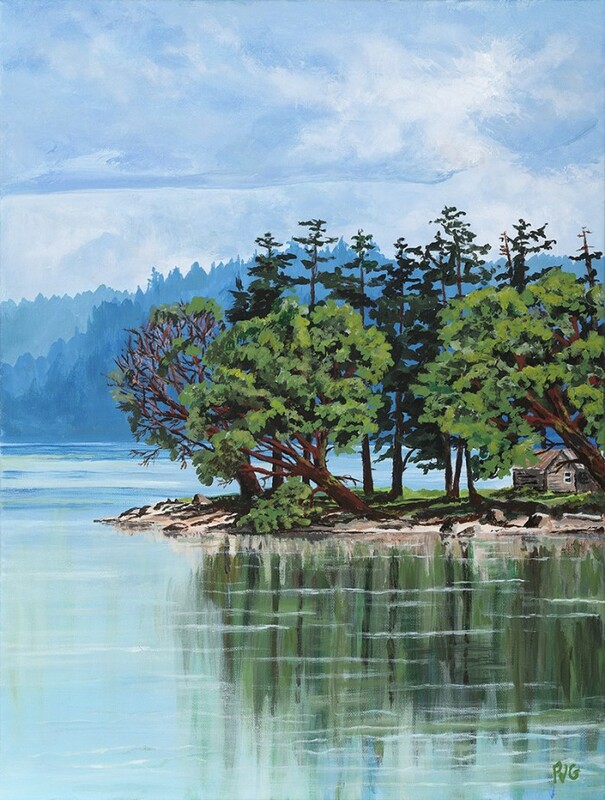 One of my favorite places is Saturna Island where we have been going for over 20 years. One this particular trip we spent time in Winter Cove which is a popular boating destination. Surprisingly on this day there were no boats present. It made the day truly amazing as I easily was taken in by the scenery across the bay. I captured my delight in this acrylic painting.